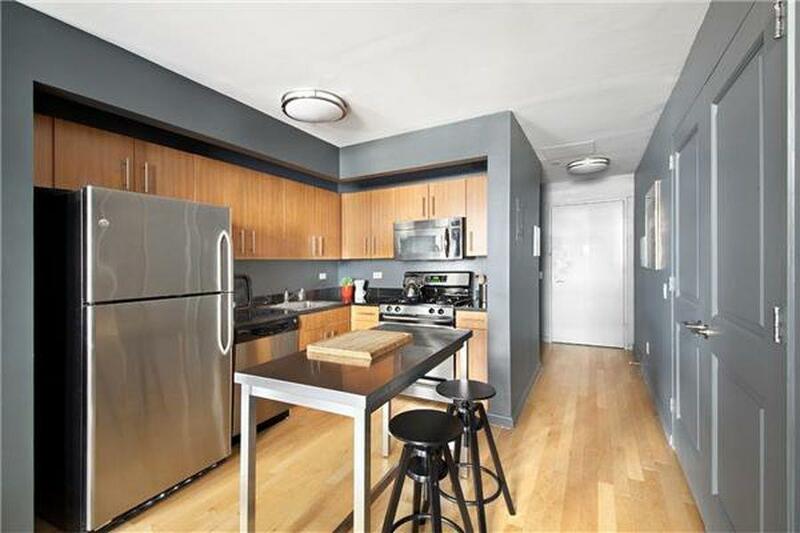 Just steps to the beautiful and serene Battery Park waterfront, and a few blocks from the heart of the bustling Financial District, this stylish and beautifully designed studio with loft-like high ceilings, is your spacious retreat from city living. 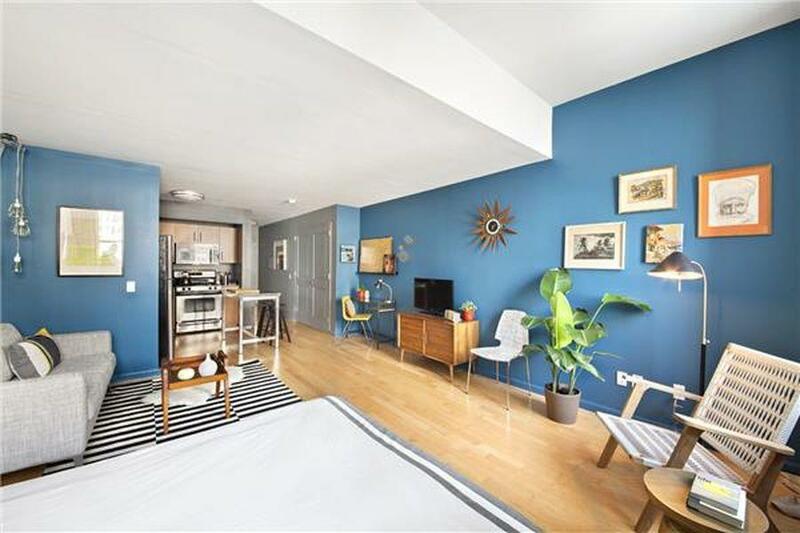 Currently operating as an investment unit, it is fully furnished in a mid-century modern style, suitable for investors or for a starter apartment purchase, this apartment is in high demand and has not been vacant for several years. Included in the purchase are valuable upgrades such as double pane, argon gas soundproof windows and all furnishings. his ideal layout has a large open kitchen, stainless steel island and plenty of storage and cabinet space. The living area features vaulted 14 ft high ceilings and two very tall soundproofed windows overlooking stunning city and waterfront views. Complete with a TV, desk area, and a sitting corner this fabulous apartment is furnished with everything you would need, from kitchen utensils to bedding. 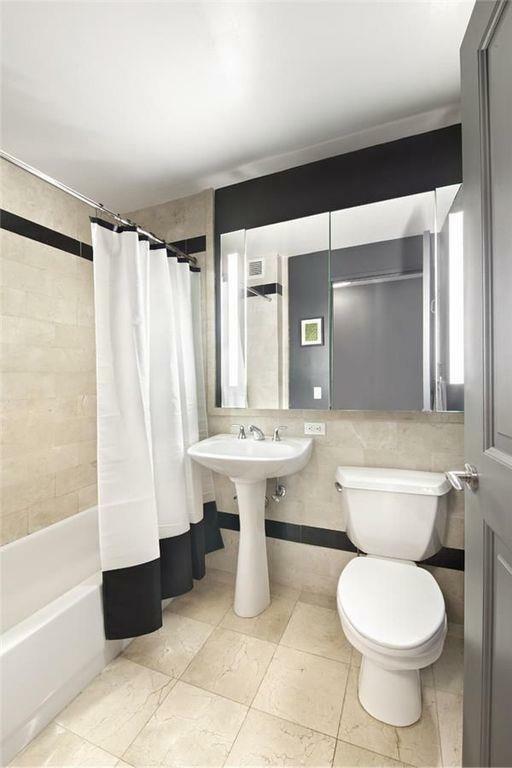 Can be delivered furnished as is, or unfurnished.The Downtown Club at 20 West Street is a premier full service building located conveniently across from Battery Park City and its beautiful shopping and parks. There is easy access to the 1,2,3,4,5,R,W,J,Z trains directly behind the building. 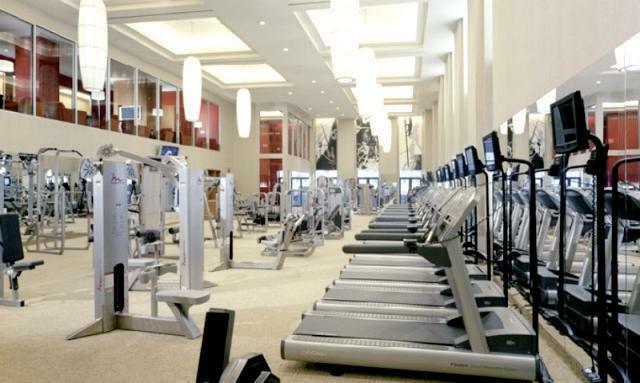 Top flight amenities include full time doormen and concierge, on-site laundry and housekeeping services, a 10,000 SF gym and spa, a sleek lounge with wifi, a private media viewing room, a billiards cove, a garden terrace, as well as a stunning top floor roof deck with amazing views! Listing courtesy of Christine Ra of Compass.